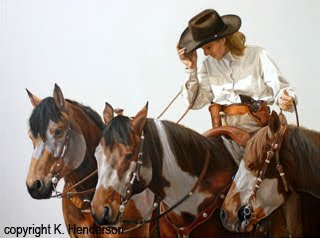 I'm pleased to announce that I was awarded the Jan Stiver Painting Award for Oil Painting for my painting Three Horses. 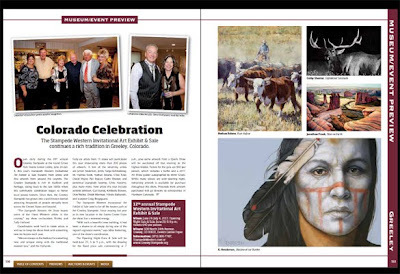 I was pleased to find out that my painting image, The Shadow of our Burden, was included in Western Art Collector magazine's writeup about the Greeley Stampede Invitational Art show. 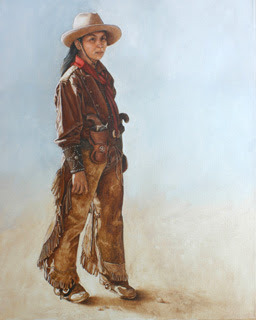 If you will be in Pendleton, Oregon this weekend, don't forget to stop by In the Company of Cowgirls art show. 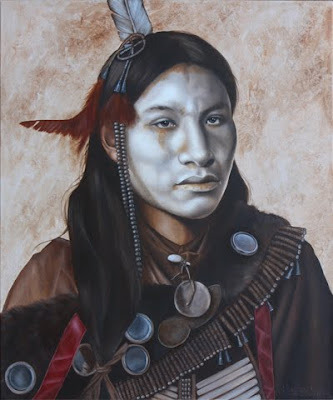 I will be participating in the Heart of the West Invitational Art Show in Lander, WY again this year. I've had paintings in this show several times and was awarded Best of Show a few years ago for my painting Summer Lightning. My only objection to this show is that it was only one day long. This year the show will hang for 8 days, Sept 10 -18. I'll have more information as the show draws nearer. 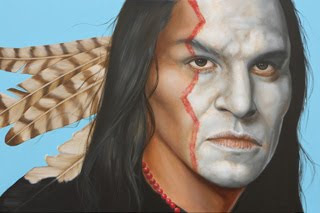 This is the first in a series of my Buffalo Bill Wild West Show Indians. 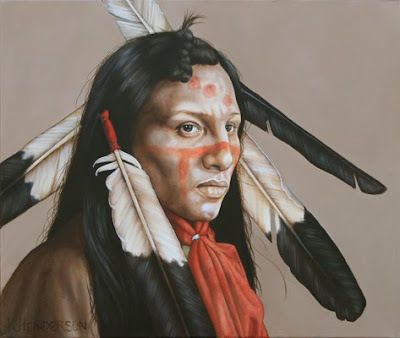 The paintings depict turn of the century Plains Indians, the ones you would have seen if you had the privilege of attending The Wild West Show. 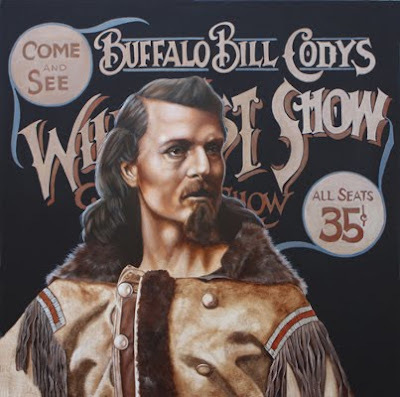 The paintings are based on photos taken of the performers. I will be participating in Gallery 822's 8th Anniversary Exhibition. The gallery really puts on a great opening! 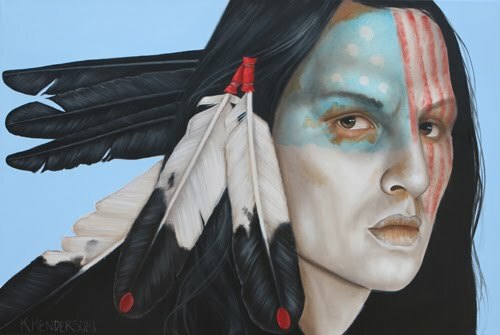 The Artist Reception is Friday May 6th, 5 - 8 pm. 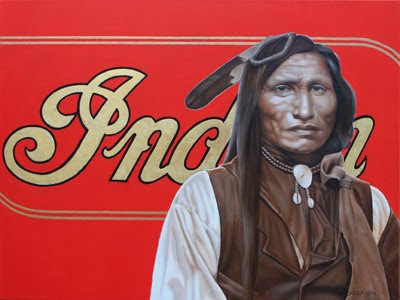 The location is at 822 Canyon Road, Santa Fe, NM. 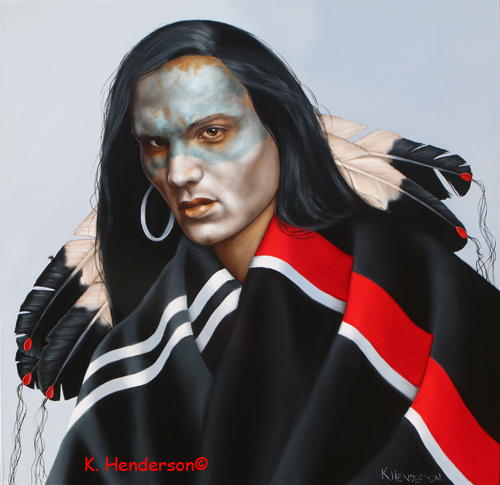 Stop by and say hello and take a look at my new work.